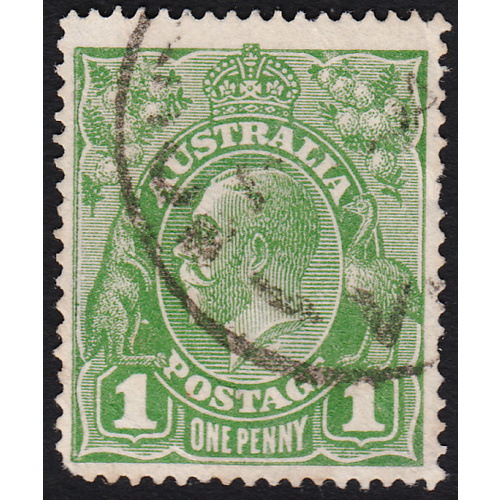 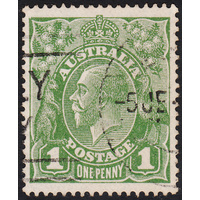 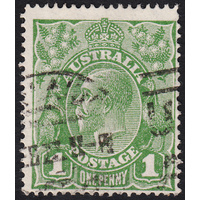 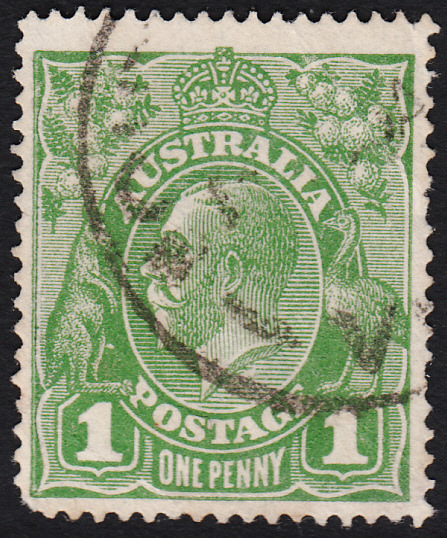 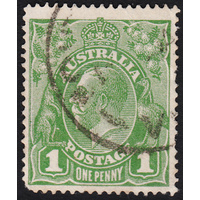 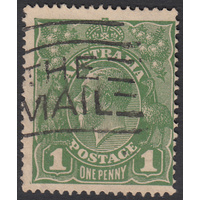 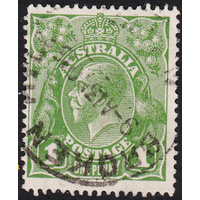 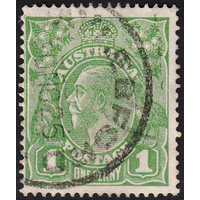 Australia KGV 1924, 1d Green, Single Watermark, variety 7/37 (Flaw below King's neck) in Fine Used condition with a rounded bottom left corner. 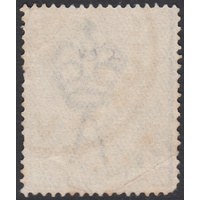 Centered low with a circular datetsamp cancellation passing through the variety, which is still obvious. 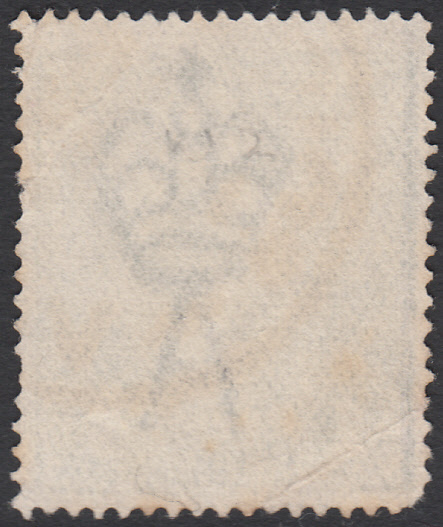 BW 77(4)h.